I was then 13 years old but due to my height and appearance I looked older and had no problem going to nightclubs and integrating with the older musicians. It was at a club called the "Quiet Village" on Recinto Sur Street in Old San Juan, where I had my first 'real' experience playing Rock and R & B ( Rhythm & Blues ) with American musicians. It was the merchant marines in those days who brought the true rock and R & B to Puerto Rico directly to our ports. At the Quiet Village, I joined as bassist, alternating with Tito Allen, who at that time was also bassist with the band (house band) led by an African American drummer named Hot Papa Jr. The guitar players in that band were Pepito Maldonado, and also a merchant seaman named Rick or Richard, who also played electric guitar. There was another club of the sort for a short time in Old San Juan where I also played, called "The Beacon ". Some brothels also hired rock bands at the time - I got to play in some. In addition to this early experience, I also accompanied and toured early in their careers, with Charlie Robles, Julio Angel, Chucho Avellanet, Diana, Papo Roman, Lissette, Lucecita Benitez, Pepe Luis and Celinés among other pioneers of the pop rock music scene in Puerto Rico. At around the same time, I was hired as house bassist for the famed La Nueva Ola (The New Wave) program since its inception on local TV. I remember the first day Celinés appeared at the show as a rookie before she became a highly polished entertainer! 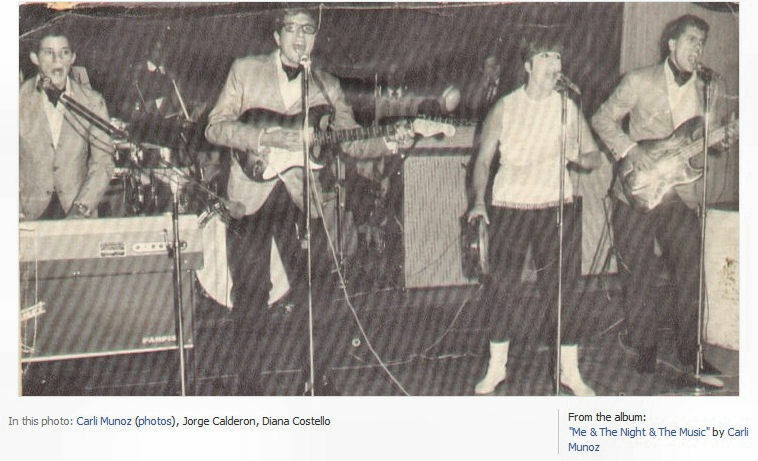 Another rock experience I had in the early 60s was a trio that I formed with Vinny Urrutia on guitar, Jorge Marien on drums and me on electric bass (at the time I used an electric guitar with only 4 strings). Vinny and I sang the leads in English, songs like Rock Around the Clock by Bill Haley and His Comets and Richy Valen's La Bamba, etc. The group was called "The Red Fever" and was presented by Alfred Herger in one of his first presentations . Then, shortly after these experiences, at 15 (1964), I had already progressed musically to be a member of one of the most authentic jazz bands in Puerto Rico. This band consisted of Monchito Muñoz on drums and leader, bassist Freddie Thomas, the legendary trumpeter Juancito Torres and the famous Afro-Cuban conga player Sabú Martinez. 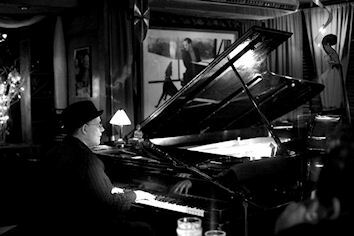 After one night when I had replaced bassist Freddie Thomas for impromptu absence (I jumped from the audience and offered to take over the acoustic bass even though I had never played one), I was asked to join the band on piano. 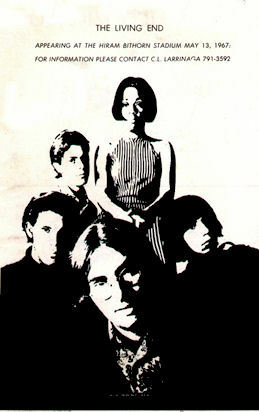 A few months later, it was a historic night at the famous cabaret at the Holiday Inn in Isla Verde where we played every night as part of a 'review' and accompanied the jazz diva Myrna Rodriquez and also a troupe of dancers from New York, the Paper Dolls, when Jorge Calderon (he later won a Grammy for producing a Warren Zevon album), who I barely knew, visited the club and asked me if I was interested in forming a rock band. I agreed and brought with me (my girlfriend then) Diana Costello, one of the dancers who also sang and was part of the Paper Dolls dance review. She was also the original singer of the phrase "who wears short shorts", from the the Royal Teens hit, 'Short Shorts' in 1957. Thus began taking shape the legendary Puerto Rican rock band, The Living End. The drummer, Amaury Lopez, was one of the first to integrate and Osvaldo Torres was the original bassist who had played with Jorge Calderon in a group called The Vultures. Soon enough we started rehearsing at my house in Ocean Park. It was not long that we began to be requested in clubs and venues of the time including El San Juan Hotel, the Condado Elks Club, the Miramar Center, The Chart house, Alfred Herger’s activities and at the legendary Battles of the Bands. I must say for the record that The Living End won ALL the battles of the bands. The last in which we participated (and of course, we won) was at Hiram Bithorn Stadium. Having won all the battles ‘Battle of the Bands’ and also having been in the local news as "corruptors of youth", we decided to leave Puerto Rico for new adventures. We won the infamous title because we must have been the first, or among the first groups to perform in public under the influence of LSD (LSD was not illegal in U.S. until October 16, 1966 and was not even considered a narcotic, although not lacking negative propaganda) and it showed both in ourselves and in the audience. With the promise of a contract at a new club in a hotel in St. Thomas then called Duffy's, we continued our psychedelic pilgrimage. Eventually we were also literally expelled from St. Thomas (for the same reason as in PR), and decided to try our luck in New York City. It was in New York where we had the most success. A week after our unplanned arrival, but with much enthusiasm, we got an audition at the then famous club Scott Muni's Rolling Stone on 48th street and 2nd Avenue in Manhattan where we were hired as a house band. It was a period of great success and developing a large fan base in the Big Apple. From that bastion we attracted the attention of prestigious management groups and record labels such as Capitol Records who offered a generous contract to record an LP. They even agreed to allow us our own label within the umbrella of Capitol Records, Hand Records. We were assigned a producer, Shadow Morton (Janis Ian), but actually it was us (for better or worse) who produced the album. 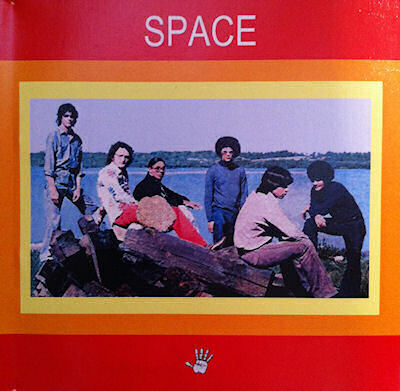 The album was titled Space. By 1969 the group had dissolved because of conflicting interests and personal differences. In the summer of that year our then manager, Jack Rieley, who shared an apartment with me in NYC, invited me to accompany him to Los Angeles, California for a weekend. At first I did not want to go, but eventually I agreed and in end result I stayed in LA for 16 years. A few weeks already in LA, I met some of the musicians who traveled with the Beach Boys and they invited me to play on a tour when they needed a percussionist at the last minute. During this tour, it was in NYC during a rehearsal that the Beach Boys accidentally heard me playing piano on a jazz jam session with the brass section. At that time Carl Wilson upon his return from recess he said: " if you can play that sophisticated music (jazz) on piano I'd like to know what you can do with the group on organ". After several tours with Wilson Pickett and other artists, Carl called me that year to audition on Hammond Organ and piano, replacing Darryl Dragon, who was then the Beach Boys pianist and keyboardist. The rest is history until 1981, when I decided to leave the Beach Boys. Soon after leaving the Beach Boys, I start getting calls to record and perform with artists in other genres such as George Benson, Chico Hamilton, Les McCann and others including Country Western Swing and Blue Grass. It was a very fertile period in my life musically. Also I had chosen to study cinematography, which I managed to study for two years at UCLA and LACC with practice in the American Film Institute and participating in numerous SEMPTE seminars. In 1986 I returned to Puerto Rico with my family of 4 kids and my first wife, Brenda, who I had met in Canada. There, I applied my new knowledge of film production and cinematography and started directing commercials for advertising agencies and filming documentaries. This lasted until 1989 when Hurricane Hugo destroyed my studio and office, which was at the top of a building facing the lagoon in the Condado area - but every cloud has a silver lining... From that moment I decided to return to music full time - regardless of the economic consequences. Out of that decision I formed the Carli Muñoz Jazz Trio. I was never without work and without compromising the integrity of the music in the pure jazz genre. 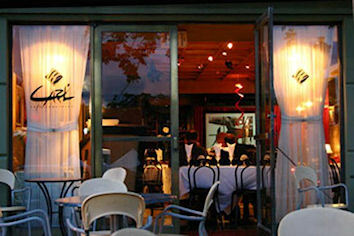 After earning a name and a loyal audience in the jazz genre, in 1989 along with my new partner Jim Bonbright, we inaugurated our own club and fine dining restaurant, Carli Cafe Concierto, now called Carli's Fine Bistro & Piano, in Old San Juan; still thriving today and God willing still for many more years to come. Back to Rock, in late 2007, I received a call from an old friend, Trisha Roach, who had been the personal secretary of Dennis Wilson during the 70’s. It was Trisha who first told me about the ‘Bambu’ project, which would be the second solo album by Dennis Wilson. The Bambu project started in 1978, and I was the producer. Also by Dennis’ wishes, the album consisted of my original songs with, of course, Dennis performing them. But the news (30 years later) was that the album was completed and that it would be released now by three major record labels and I hadn’t been consulted. For me it was a low blow. The 'producers' who continued my (and Dennis’) work could have contacted me to maintain the integrity of the project. But as I understand it, the ‘producers’ and ‘engineers’ could be attributed credits to suit them and rewrite history to their hearts contentment if they proceed it on their own, as they did -- after all Dennis was dead and I was gone to the Caribbean away from the ‘scene’. After some legal arguments and them being forced to publicly acknowledge that I was the author of the 4 main songs that had already been produced by me for Bamboo as the original producer of the album, I gave them permission to go ahead with the release. 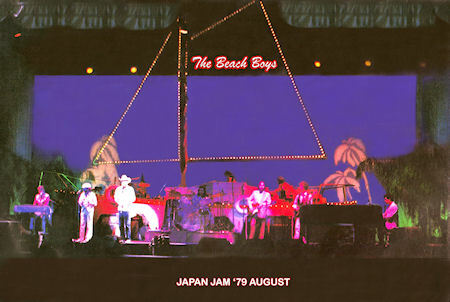 The album was released in 2008 in conjunction with a second edition of Pacific Ocean Blue and is titled Dennis Wilson, Pacific Ocean Blue/Bambu (The Caribou Sessions) Legacy Edition. 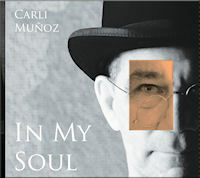 It was the Bambu experience that motivated me to produce my new rock release - In My Soul. It was out of this unsettling event that I had decided to re-record the four songs of mine from Bambu: Constant Companion, It's Not Too Late, All Alone and Under the Moonlight, and also include my other rock compositions which would have been part of Bambu. The result was the production of a greatly satisfying record - again - every cloud has a silver lining! Although there hasn’t been an official release to this date, In My Soul has created a modest but respectable and empowering wave of success, first picked up by Dennis’ and Beach Boys’ fans in England, and also pockets sprouting in Japan and Australia. From here.... "Who knows where the road will lead us - only a fool would say...." from All the Way. "I came to London precisely by special invitation to the annual UK Beach Boys Fan Club convention. These people are very seriously passionate about the club and on this occasion that I am attending they are beginning to learn about Puerto Rico and The Living Ends. They have even played the music from the "Space" album frequently, besides my new CD, "In My Soul". Following are some web links on the event.